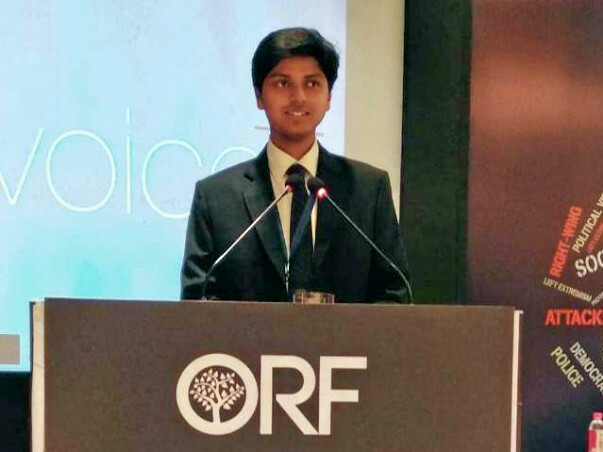 Help Aayush Make A Difference! My name is Aayush Mishra and I am a 2nd-year student pursuing Computer Science and Engineering at The LNM Institute of Information Technology. What am I raising money for and how will it be used? 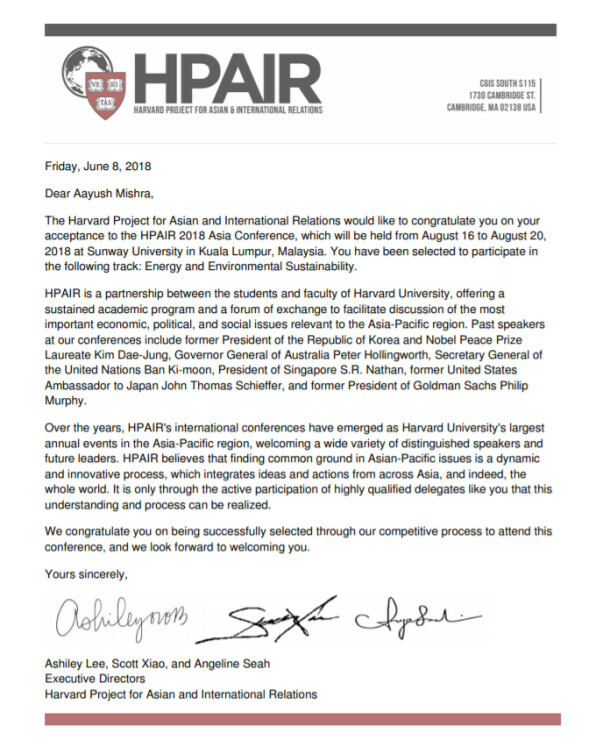 I have been accepted as a delegate to attend the 2018 Harvard Project for Asian andInternational Relations (HPAIR) Asia Conference held this year in Kuala Lumpur. My track is Energy and Environmental Sustainability, I have explained below why I need your funding. All the money I receive will go into my flight ticket to Kuala Lumpur and back, the conference fees and my accommodation. There are two things I have always wanted to change around me. Firstly, I have been subjected to bullying almost my entire childhood. I have been beaten up, tortured, both physically and mentally, locked up and experienced all sorts of stuff that I don’t want to mention here. I want to bring out the goodness in people, there is light in everyone and I strongly believe that. 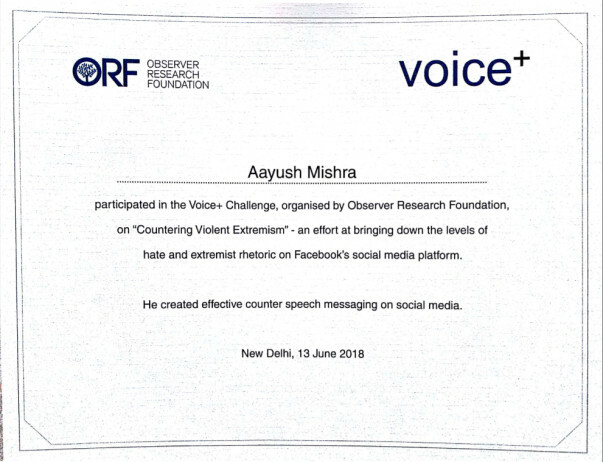 Recently, I had been given the opportunity to Combat or Counter Extremism on the internet. I grabbed this chance to spread the message of non-violence among the youth. The campaign I ran was a huge success and I was invited to the conference held by ORF called “Tackling Insurgent Ideologies”. I am still working in this area and trying to curb bullying/ragging by spreading awareness among the youth. Secondly, I have lived in New Delhi for a long time. Since childhood, I was a nature lover and spent most of my time in the parks and gardens near my house. I used to sit on the roof of my house and enjoy the scenic beauty of the Aravalli Mountains which surrounded the city. I moved away a few years ago only to come back recently and realize that it is all gone. The trees and plants in the parks almost look colorless. It seems like, the Aravalli Mountains have almost disappeared. Pollution has restricted our view to only a few hundred meters. There is smog and haze everywhere. The rivers are toxic. Breathing air for one day in Delhi is equivalent to smoking 44 Cigarettes a day. This is heart-breaking. Humans are destroying the mother nature and I have witnessed the change with my own eyes. 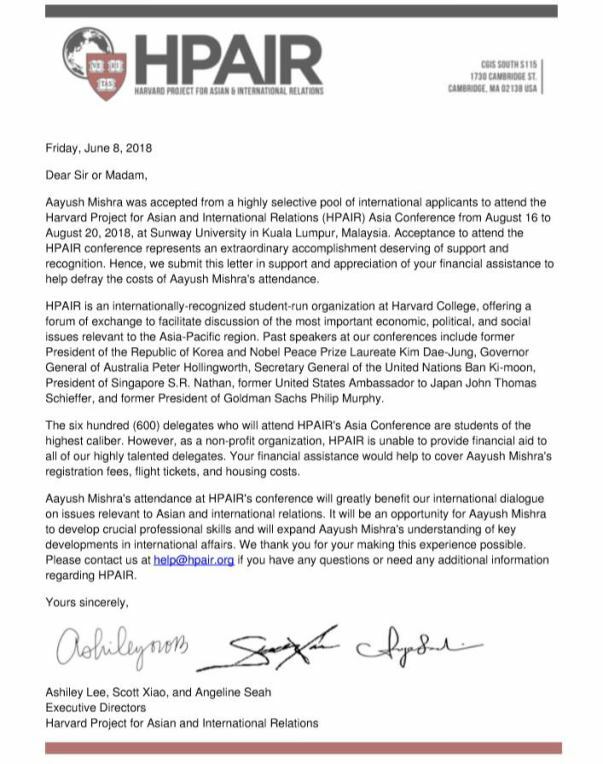 I have not been provided any opportunity in this area before but now I have an offer from HPAIR to learn and do something about it in India. Anything you contribute would be of significant importance to me. My family is going through a financial crisis right now and I can barely afford to pay a penny for this conference. Please contribute, it takes less than 1 minute!